it’s easy to see where disney got the inspiration, isn’t it? and this concludes your weekly instagram overload. i recommend paying the 8 euros for the carriage ride up the mountain. and while you’re up on that mountaintop, buy yourself a 10 euro giant pretzel, why don’t you! After our time in the Black Forest came to an end, Kaitlyn and I hopped on a train and headed south to Füssen. For whatever reason, every time we traveled with the Deutschebahn (the German rail), Kaitlyn would sing, “Hello, Deutschebahn” to the tune of this Jay-Z/Lil Wayne/Xiu Xiu remix. ….We do strange things when we’re exhausted and delirious. Don’t ask. After checking into our hostel, we sauntered through the city center before parking ourselves at an outdoor cafe, where we unwound over drinks, desserts, and our respective reads. There was a small concert series being held just down the street and the live classical music set the perfect tone as the soundtrack to our low-key afternoon. Why were we even in Füssen, you ask? Well, Füssen sits at the base of Neuschwanstein, the inspiration behind Disney’s Sleeping Beauty castle! I posted about my trip there with my parents around this time last year, but I have even more castle photos to share from my trip there with Kaitlyn. I’ll try to get to work on posting those tomorrow. Until then, here’s a little sneak peak of the castle in all its fairytale glory. If you ever find yourself in the southwestern part of Germany, stop by the Black Forest. Please. You won’t regret it. It’s rumored that if you venture into certain parts of the Black Forest, the density is such that the sky cannot be seen; any ray of sunlight being completely enshrouded by the thick trees. As the photos show, Kaitlyn and I never made it that deep into the forest, but rather wandered around at the edge of it instead. We also walked around the lake, Titisee (pronounced tee-tee-zay), which was absolutely breathtaking. We even rented a boat and paddled to the middle of it! It’s worth mentioning that we invited an Australian guy to accompany us to the Black Forest. We had just met him at our hostel and felt a bit sorry for him, as he was traveling solo and seemed lonely. He accepted our invitation and spent the day with us which seemed well and good until he asked Kaitlyn to lend him some Euros. She obliged him, however reluctantly, and then we never saw him again. So…..if you’re reading this, Australian-guy-we-met-at-the-hostel, Kaitlyn wants her money back. But yeah, the Black Forest is amazing and Titisee isn’t so bad itself! I recommend the both of them as sights to be seen, for sure. I had a couple of requests after this post; people inquiring what there is to do in Freiburg and why is this town so special, anyway? Well, I am by no means a Freiburg expert (though I’ve been there twice now – I went with my parents, too! ), but I do know a few things about this city and I’ll share them with you today for those who are interested. As I’ve stated before, Freiburg sits at the edge of the Black Forest. This is the main reason I love it; the Black Forest is so fascinating to me, as it’s rumored to be the inspiration behind not only J.K. Rowling’s Forbidden Forest but several fairytales authored by the brothers Grimm as well. It’s also a famous university town; I know quite a few people who have studied abroad in Freiburg and absolutely l-o-v-e-d it. Another noteworthy fact about Freiburg: it’s one of the most eco-friendly cities in Germany, which is saying a lot for a country that’s a green as they come. It is said that approximately 70% of Freiburg’s citizens don’t own cars, but get around via bicycle, tram and train. I love that. Don’t you wish the USA was more conducive to that lifestyle? Kaitlyn jokingly labeled the car in the photo below, “the only car in Freiburg”. I think my favorite little fact about Freiburg has to do with the street gutters (you can see them in the photos above and below) that run throughout the city center. Legend has it, that if you accidentally trip and fall into one of these Bächle (gutters), you will fall in love with/marry a Freiburger! I learned this from my friend, Erica, who studied at the university there (and had the time of her life). Neither of us fell in the water, which I’m sure Kaitlyn’s non-German husband appreciates. Freiburg is also said to be the sunniest and warmest of all German cities. Legend has it (and I’m sure this can be verified somewhere on the internet, if I weren’t too lazy to find a source to cite it), that the temperatures can reach as high as 40 degrees Celsius, which is 104 degrees Fahrenheit. That’s, like, Oklahoma-hot! And that’s my kind of hot (when it comes to summers, I say the hotter the better). Kaitlyn and I dealt with the heat by swinging at a park near our hostel. You can’t tell, but my TOMS contain a large amount of sand from our Ireland beach disaster adventure (I eventually threw them away). Disclaimer: Half of these photos (the good half) came from Kaitlyn. You know, Kaitlyn, shop owner of Stitch? Yeah, that Kaitlyn. 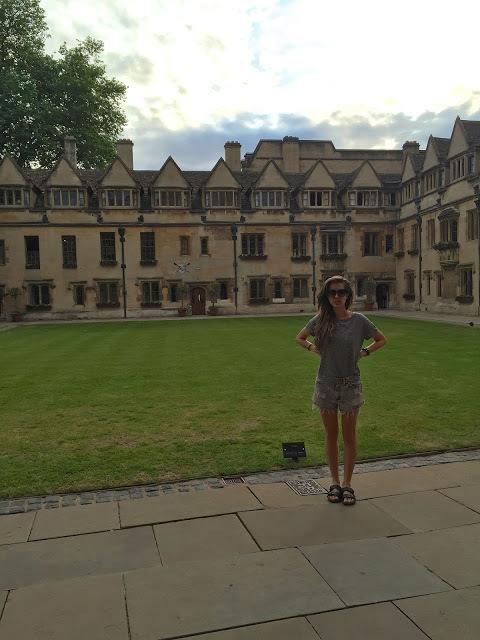 Hogwarts, hippies, and Javier Bardem's character in No Country: our trip to Freiburg. When Kaitlyn and I decided to go to Freiburg, we booked a hostel at the edge of the Black Forest, in hopes that it would have a Hogwarts-y feel to it (you know, because Hogwarts was at the edge the Forbidden Forest?....and the Black Forest is rumored to have been the inspiration for the Forbidden Forest?....just go with it). Our expectations were slightly off, however, in that the hostel we walked into seemed more like a haven for hippies (both old and young, showered and unshowered) rather than wizards. Instead of a cozy castle of sorts, this hostel served as a forum to gather and reminiscence (in various languages, of course) about Woodstock glory days past, which served us right because really -- when have you ever in your life seen a hostel that resembled a "cozy castle of sorts"? Never, that's when. Now, let it be known that I tend to have a pretty strict "no co-ed hostel rooms allowed" policy and, as a result, Kaitlyn and I had booked a private room at the Bob Dylan School for World Peace and Liberty (not the actual name of the hostel...but close enough). So I'm not quite sure how, but upon checking in, we were told that we had 2 beds reserved in a co-ed room and there was no way we could change it -- all rooms were full, there was an overbooking issue, no room at the inn, etc. Kaitlyn and I took on an "eh, it'll be fine" attitude and trudged upstairs, only to become acquainted with one of our male roommates who I swear to you was Anton Chigurh, age 47. 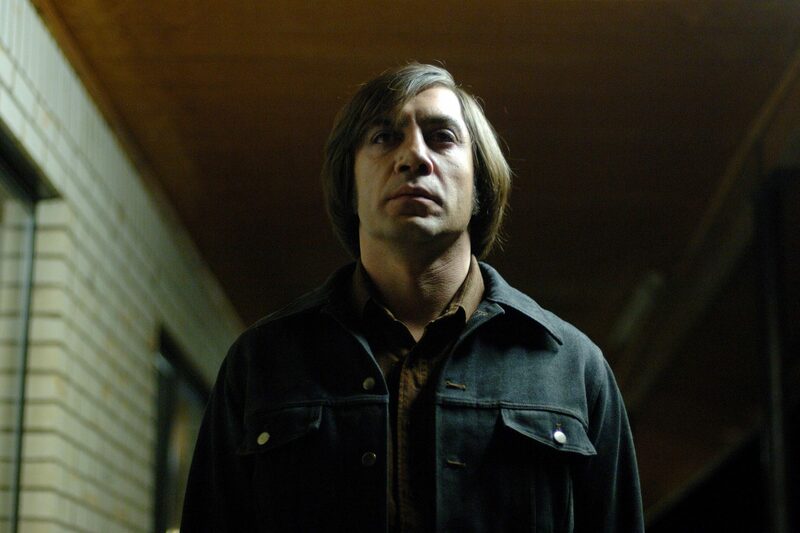 If you don't know who Anton Chigurh is, then 1) read No Country for Old Men, 2) watch No Country for Old Men or 3) click this link. And this is why we spent 99.9% of our time in Freiburg outside of the hostel, eating pizza, marveling over the town square, and eating pizza again. So, in summary: Freiburg is beautiful! The pizza is great! I'd go back again!....Provided that I could stay in a hotel/hostel as far away from characters-birthed-from-the-minds-of-the-Coen-Brothers as possible. once we soaked up all the sun in ireland, we decided it was time to fly to germany. on the morning of our flight, i woke up feeling anxious and sick, which happens sometimes when i wake up really early and feel rushed or unprepared or nervous about something. in this case, the thing i was nervous about was: how are kaitlyn and i getting to the airport, anyway? while i sat in the bathroom upstairs, fanning myself and trying not to vomit, kaitlyn breakfasted downstairs with the beloved mrs. doyle. when i eventually joined them, mrs. doyle told us we could take a bus to the airport – that there was a bus stop just down the road. well, by the end of breakfast, we realized we didn’t have enough time to make it to the bus stop (traveling with giant backpacks isn’t very conducive to running to bus stops with only .4 seconds to spare). since calling a taxi would have been absurdly expensive, mrs. doyle offered to drive us to the bus stop herself. on the way to the bus stop, she reassured us that we had plenty of time; that had we walked/run there, we would have been pushing it, but that being driven, on the other hand, would allow us enough time and then some. imagine our surprise, then, when we rounded the corner and saw the bus idling at the stop, about to drive away. and that’s when it happened; mrs. doyle – the 80 year old elderly irish woman, mrs. doyle – sprang into action before neither kaitlyn nor myself could blink. she put the car in park, jumped out from behind the wheel and ran into the middle of the road – stopping oncoming traffic even! – waving her arms in a frantic attempt to get the bus driver’s attention. and that is how we made it onto the bus, and then onto the airport in time, and then to germany on time, all thanks to that beloved mrs. doyle. and that is also how we stopped blaming mrs. doyle for the beach fiasco, too. i could go on about what a long and tiring day it was (there were some bus ride/train station issues as well, of course), or how depleted with energy we were by the time we made it to germany, but i think the amount of sweat in my bangs says that in and of itself. you know? Thanks to the generous sponsors of this blog, 3 of you will be taking home the prize package of your choice! Let’s get down to business (Mulan reference implied). All followers of this blog are eligible to win! To enter, leave a comment below, letting me know which package you’d choose if you won. For an extra entry, tweet about the giveaway and tag me (@jenni_AT_DE). For even more extra entries, like/follow/favorite any of the following links and leave a comment for each. The three winners will be chosen via random.org and announced June 1st. Thanks and best of luck to you all! P.S. Congrats, Daryl! You won the $50 shop credit to Anna Delores Photography! P.P.S. Congrats, Erica! You won the bracelets from La Plus Belle! what happens at the beach, does not always stay at the beach. if the twelve-hour-beach-trip-from-hell wasn’t memorable enough, kaitlyn’s sunburn stuck around as a (not so) friendly reminder. speaking of reminders, i’m picking a winner for this $50 shop credit giveaway tomorrow! enter now, if you haven’t yet! First of all, I need to preface the beach-trip-from-hell story with the story of how Kaitlyn and I found ourselves sleeping at a haunted bed&breakfast. As my sister had booked the rooms for us, we had no prior knowledge of the place; we just knew there were beds there in which we'd be sleeping, and breakfasts there which we'd be eating. And that was that. Oh -- well, I should mention we also knew that a woman named Mrs. Doyle was the caretaker...or, supposedly the caretaker. You see, several hours into our stay, Kaitlyn and I realized we had yet to meet this Mrs. Doyle. Her thirty-something-year-old son had answered the door to greet us, had showed us to the rooms, and had referred to his mother a few times, always stating that she was busy, preoccupied, or otherwise engaged. We began to wonder, Kaitlyn and I, if this "Mrs. Doyle" really did exist. The next morning, we went downstairs for breakfast, only to be greeted by Mrs. Doyle herself! That was something. Turns out, she wasn't her son in drag and she wasn't a ghost at all; she was a real, live, elderly, Irish woman, and she was funny! I tell you, she was a funny lady, that Mrs. Doyle. After breakfast, she offered to drive us to the beach and we accepted, grateful for a) a ride to the beach and b) that we weren't going to be murdered anytime soon, after all. On the drive to the shore, she warned us once or twice, "I won't be able to pick you girls up tonight, so you'll have to find your way back on your own. Are you paying attention? Are you reading the road signs? Do you need me to write down directions for you? It's a tricky path back to the bed & breakfast, girls!". Naturally, we told her we needed no help, because how hard could it be? I mean, the drive to the beach took, what, 5 minutes? So the walk home should take, like, 6, right? Well, as seen in yesterday's post, we had a lovely time at the beach. The only trouble was, when it was time to walk back to the bed & breakfast, we came to a sobering realization: we had absolutely no earthly idea how to get there. Part of the problem was that we had walked a mile down the stretch of the beach and weren't even sure at which point we'd started. Finding our point of origin took some time.....but we eventually arrived at a place that looked somewhat familiar. I think Kaitlyn said something like, "Hey, I might've seen that pole before" and I shrugged, which meant: onward! So, we took a right at the pole, left the beach and began walking down a country road, one that led....nowhere. We tried road after road after road -- at first, laughing at our stupidity and taking photos and talking about boys and giggling until... the mood shifted. Kaitlyn's patience began to wane first and mine shortly followed. Before we knew it, we were halfway yelling at each other, halfway cursing Mrs. Doyle for suggesting we go to the beach and then abandoning us so heartlessly, without leaving so much as a trail of bread crumbs behind her as she returned home. "Who does she think she is, anyway!? ", I screamed at one point. "Who is she to drop off two innocent little girls at the beach and then drive away without even leaving us her phone number!? That horrible, awful, evil, scheming ghost!" Never mind the fact that neither of us had phones on us. Never mind the fact that we hadn't thought to ask her the name of the bed & breakfast, should we need to stop for help. Never mind the fact that she had offered multiple times to write down directions. Never mind all of that -- we were tired, sore, hungry, dehydrated, lost and confused and it was the ghost's fault! The worst part of that trek was the fact that we were walking down country roads -- roads which were lined with no sidewalks or footpaths. There was one especially narrow road with several bends in it. Every time a car came around one of those bends, Kaitlyn and I had to cling to the hill on the side of the road -- halfway climb it, even -- to avoid getting hit. There were weeds that stung and scratched our legs in the process and those were Mrs. Doyle's fault, too -- she probably planted them. To this day, I have no idea how we made it back to that bed & breakfast, but made it back we (eventually) did. Mrs. Doyle was standing on the front stoop wringing her hands, clearly worried, when we came up the lawn. She let out the loudest sigh of relief when she saw us, hugged us both, and then begged of us, "What on earth took you girls so long?! You've been gone for twelve hours!" to which I replied, "Oh, we were just....hanging out at the beach. We just loooove that sunshine. Love it. Love it so much." As we hobbled upstairs, bones and joints aching and throbbing, I said to Kaitlyn, “We need to document this in some way, so that the misery we experienced this day will always live on in infamy.” She agreed, and we placed my camera on the bathroom windowsill and set the timer. While at the beach, Kaitlyn and I splashed in the water, squished the sand under our toes, regretted our decision to wear Toms (worst sand-shoes ever), ran away from jellyfish, enjoyed the cool breeze, and basked in the sun while listening to some Devendra Banhart with my iPod headphone splitters. Much to the dismay of our growling stomachs, we hadn’t a single snack upon us, which proved to be extremely detrimental as we attempted the several-hour trek back to the bed & breakfast on the verge of starvation. Please note that the “several-hour trek back to the bed & breakfast” should have taken maybe 20-30 minutes. And that story will be told tomorrow. and then we flew to ireland.